What started out as a simple discussion in the history section of a bookstore between a young man and an elderly gentleman had escalated to the point of physical confrontation. The arrogance of youth and the stubbornness of age had brought this encounter to an emotional climax. The young man had challenged the older man&apos;s statement that the Holocaust was a horrible experience representing the worst of humanity. The younger man went so far as to argue that the Holocaust never actually happened and further stated that tales about concentration camps were nothing more than fabricated and fictitious propaganda designed to shock the public. There was a tension filled moment of silence as the elderly gentleman collected his thoughts and reeled in his emotions. Slowly and deliberately, he rolled up his sleeve to reveal a series of numbers tattooed on his arm indicating he had been a prisoner at a Nazi concentration camp. He bore on his body the marks of first-hand experience and the young man could make no further argument. Loyal followers of Jesus Christ will also bear the marks of following Him. They may not be the actual physical marks Paul pointed to on his body, but nevertheless they are there and serve as proof Christians are ambassadors of another kingdom. To follow Christ means we will take on some visible characteristics of our allegiance to Him and that occasionally these traits will draw opposition for our loyalty. John revealed one of these marks as love (John 13:34). Among others, our lives should have marks of proof that clearly identify us as representatives of the heavenly homeland. 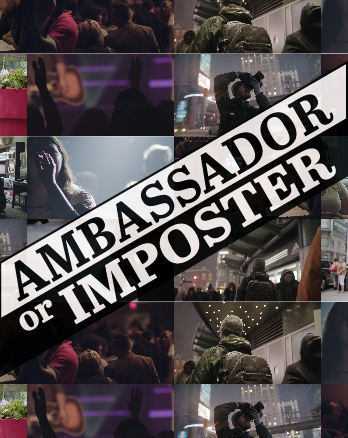 Make a list of marks you may have that might prove you are an ambassador of Christ. Ask God to help you clearly demonstrate your loyalty to Christ.